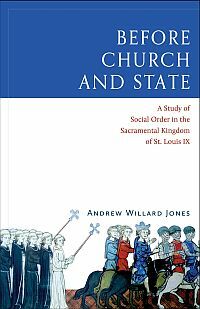 Andrew Willard Jones's new study, put out by Emmaus Academic (of which Jones is himself the publisher) , consists of four parts which move chronologically through the age of Louis IX of France (1214-1270) and Gui Foucois/Pope Clement IV (c. 1200-1267). 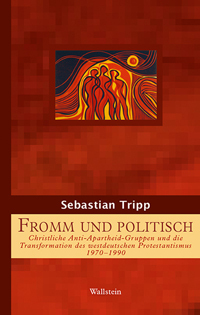 Part one "challenges the essentialist division between the religious and the secular that underpins the modern reading of the medieval 'problem of Church and State'" (22). 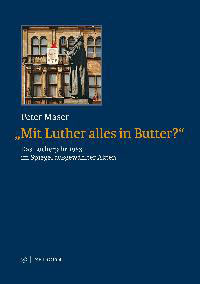 Part two argues that "medieval society was not organized around notions of sovereignty." Instead "peace was believed to be the fundamental reality [. . .] The State [. . .] did not in fact, exist," rather "society was actually organized through networks of consilium et auxilium" (23-4). Part three "explores the meaning of papal power" (25) through the lens of the developing office of cardinal legate. Part four employs an analysis of Thomas Aquinas's thought to replace "traditional Church-State descriptions" of thirteenth-century France with a vision in which "the spiritual power and the temporal power operated together [. . .]" (27). The author contends that "the historiography," misled by a focus on the genealogy of the modern state and blinded by secular, liberal assumptions that can only imagine sovereignty as a monopoly on violence, has fundamentally misunderstood Louis IX and the society around him. 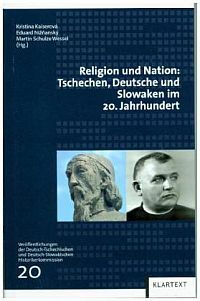 Andrew Jones's introduction attempts to develop a theologically-informed explanation for why modern ideas of "secular" and "religious" cannot apply to the thirteenth century (Henri de Lubac's concept of the "complete act" animates much of his thinking), even though "we" in the twenty-first century have trouble seeing through any other lenses. The author's repeated use of "we moderns" is rather disingenuous, however, since he makes it clear that he himself has succeeded in transcending this trap. Each of the book's four parts contains observations worthy of consideration. As a whole, however, a work intended to offer a historiographic correction would do well to demonstrate a better command of the historiography in question than does the present volume. This study does have strengths. One is the way it traces the development of a particular worldview from the time of the Albigensian Crusade through the 1250s. By 1229, Louis VIII's successful intervention to bring the crusade to an end sparked a merging of papal and Capetian interests that coalesced into a commitment to creating a society free from heresy and peace-breakers. As the author argues, both the first papally-empowered inquisitors of heretical depravity and Louis IX's enquêteurs arose out of this mentality, repeatedly referred to here (quoting contemporary sources) as "the business of the peace and the faith." Andrew Jones is also quite right to see Louis IX's Grande ordonnance of 1254 as tied to developments in the south growing out of collaboration between (Louis's brother) Alphonse of Poitiers and Guy Foucois, whose early career was spent in the service of the royal family. And the attempt to shine more light on the French pope Urban IV and the three men whom Urban named as cardinals in 1261, Gui Foucois, Simon of Brie (future Martin IV) and Raoul Grosparmi, is welcome. Gui, Simon, and Raoul indeed for a time helped to foster close ties between the French king and the papacy; the details of their careers and legations are well-worth close study. The glaring weakness of the volume, however, is its spotty engagement with, and notable distortion of, the very historiography it claims to challenge. To judge by the author's portrayal, Joseph R. Strayer's 1940 "The Laicization of French and English Society in the Thirteenth Century"  would seem to represent the cutting edge of scholarly conceptualization of Capetian France. This "laicization" thesis is no longer particularly influential, but Andrew Jones uses it as his foil while failing, for instance, to mention Strayer's 1969 essay on "France: The Holy Land, the Chosen People, and the Most Christian King" , which is far more frequently cited today. By virtue of this omission, the present study can refer to "the construction of France as the 'Most Christian Kingdom'" as though posing a challenge to modern historians (314). Five works by Strayer's one-time student William Chester Jordan do appear in the bibliography (the most recent from 2003), but dozens more are ignored, perhaps most importantly Jordan's 2012 Men at the Center  and its portrayal of Louis's "redemptive governance." M. Cecilia Gaposchkin, the leading American historian of Louis IX of the generation following on from Strayer and Jordan, is never cited. Just as egregiously, a brilliant cohort of recent French scholars (the names of Élisabeth Lalou, Xavier Hélary, Julien Théry, Marie Dejeux, Gaël Chenard, and Jean-François Moufflet come to mind) working on Louis's reign are passed over (to say nothing of distinguished French scholarship going back to Robert Fawtier and beyond). In particular, familiarity with Dejeux's 2014 Les enquêtes de Saint Louis: Gouverner et sauver son âme  would have saved the author from several misrepresentations, but would have made it harder for him to assert that recent historians have insisted on blinkered readings of Louis's reign. 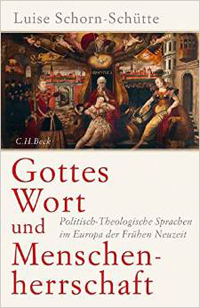 The bibliography does include one article by Pascal Montaubin, but the book does not show knowledge of Montaubin's 2014 essay on Raoul Grosparmi as legate, Montaubin's 2009 study of the earlier part of Raoul's career, or his other works on the office of papal legate. Similarly, when the analysis turns to heresy and inquisition there is little engagement with serious Anglophone (let alone German or French) scholarship (e.g. John Arnold, Peter Biller, Christine Caldwell Ames, L. J. Sackville, or R. I. Moore). Of course, Andrew Jones may have read some of these works and chosen not to reference or engage with them. But in so doing he has offered his readers a fundamentally distorted picture of the historiography with which he claims to take issue. In fact, twenty-first-century scholars of thirteenth-century France are overwhelmingly dedicated to understanding that society on its own terms and within its own worldviews, and not to imposing modern "liberal" or "secular" assumptions on the medieval past. Before Church and State will doubtless be well-received within, and seems to have been largely aimed at, conservative circles eager to bemoan the supposedly anti-Christian biases of the academic establishment. Be that as it may, I would invite Dr. Jones, who is a close and competent reader of Latin texts, to familiarize himself with the shape of recent historiography and to join the vibrant scholarly conversation about thirteenth-century France. Should he choose to do so, he will find that conversation receptive to diverse perspectives, and open to all scholars willing to engage the evidence in good faith. 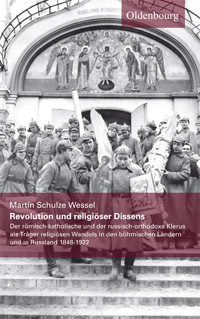 According to the author's website www.stpaulcenter.com (accessed 13 July 2018). Joseph R. Strayer: The Laicization of French and English Society in the Thirteenth Century, in: Speculum 15 (1940), 76-86. Jones cites the work from its 1971 reprint. Joseph R. Strayer: France. The Holy Land, the Chosen People, and the Most Christian King, in: Action and Conviction in Early Modern Europe. Essays in Memory of E. H. Harbison, ed. T. K. Rabb, J. E. Seigel, Princeton 1969, 3-16. William Chester Jordan: Men at the Center. Redemptive Governance under Louis IX, Budapest, New York 2012. Marie Dejoux: Les enquêtes de Saint Louis. Gouverner et sauver son âme, Paris 2014. Pascal Montaubin : L'homme-clé de la croisade de 1270. Le légat Raoul Grosparmi, cardinal-évêque d'Albano, in: Legati, delegati e l'impresa d'Oltremare (secoli XII-XIII), ed. M. P. Alberzoni, P. Montaubin, Turnhout 2014, 327-64; Pascal Montaubin: Raoul Grosparmi. L'intime normand de saint Louis (années 1254-1262), in: De part et d'autre de la Normandie médiévale. Recueil d'études en hommage à François Neveux, Caen 2009, 417-38; Pascal Montaubin: Un alter ego aux pouvoirs contenus. Le légat pontifical dans le royaume de France au XIIIe siècle, in: Hiérarchie des pouvoirs, délégation de pouvoir et responsabilité des administrateurs dans l'Antiquité et au Moyen Age, ed. A. Bérenger, F. Lachaud, Metz 2012, 389-410.